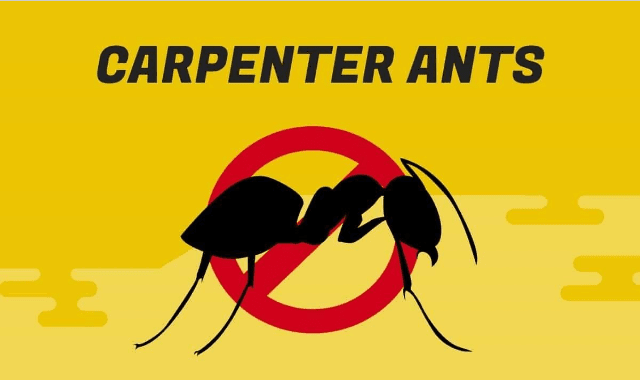 Carpenter Ants: All You Need To Know To Deal With Them #Infographic ~ Visualistan '+g+"
Carpenter ants and termites – horrible insects that destroy furniture, eating their way through the construction and furniture wood in your home. But wait! Here’s a reality check – carpenter ants do not eat wood! Their diet is proteins from other small insects, pet food, meats, etc. The reason they’re burrowing their way through wood is to create nests and lay eggs. This infographic informs on their habits, how to recognize carpenter ant infestation, and preventive action to keep your home safe. Don’t try to fix it – call in a professional exterminator immediately!